Today was the first day of Winter Veil, and after seeing all the festivities going on in Ironforge, I was ready to spread the Winter Veil cheer! After Greatfather Winter requested I make him some Gingerbread Cookies, I headed out to Darkshore and gathered 40 eggs. I quickly ported back to Ironforge, bought some Holiday Spices, and made over 3 dozen cookies! I gave them to Greatfather Winter and was rewarded with a Smokywood Pastures Gift Pack - how kind of him! I then checked my mail, and waiting inside was a new tailoring pattern and a new cooking recipe! Just for me! I quickly tore into the tailoring pattern and learned how to create Red Winter Clothes! I whipped up a set for myself and also made another set which I traded to Vexxious for a pair of Winter Boots. Now, to complete the set, I have to hunt down a Red Winter Hat. I could spend a good amount of time tomorrow trying to acquire one. The cooking recipe I received taught me how to craft Hot Apple Cider. I haven't had time to make any yet, but I will quite soon. After being surprised with free patterns and recipes, I took some time to see what else was going on. Lo and behold, the Southsea Buccaneers had kidnapped Metzen the Reindeer! I quickly hearthed to Gadgetzan, went down to Lost Rigger Cove and recued Metzen. I returned to Ironforge and was rewarded with 5 Preserved Holly for rescuing the poor, helpless reindeer. I was also told that if I put a pinch of Deeprock Salt in a Holly Preserver Machine along with 5g, I could get 5 more Preserved Holly. I will stockpile these rare gems for use throughout the year on special occasions. I also have stocked up a few snowballs because I have heard rumors that on December 25th, at the end of the Winter Veil holiday, you receive a Jingling Bell in the mail. I will need plenty of snowballs to summon my own little Winter Reindeer. With all the Winter Veil quests completed, I will be able to enjoy the rest of the holiday season in style. I will hunt down that red hat and spread cheer throughout the land. Of course, my Brewfest Pony Keg will help me in the cause! This weekend, I spent most of my time helping my young pupil Barleybux as he is working towards a lot of horde killing in his 39th season. However, I did get my daily quests done each day, including the battleground quest today in Eye of the Storm and also the PvP quest in Hellfire Peninsula. I was quite proud of myself as I had earned almost 90g on the day. However, while organizing my bags, another friendly mage noted that I had mis-socketed my helm. I had a gem in the blue slot that gave extra crit rating - for melee. I quickly went to Ironforge and bought a new gem with extra damage and double checked all my other sockets. They were all good. Just as I was about to leave Ironforge, I quickly scanned the auction house for patterns and recipes I have not yet learned. Usually I see the same things up there - all out of my price range, but this time, something new. I had seen it once before in my life. It was the Pattern: Rich Purple Silk Shirt. Since I know how rare the pattern is and how hard it is to obtain, I quickly bought out the pattern for an obscene amount of gold, quickly erasing a chunk of gold I have earmarked for an epic mount. But it's worth it. My new Rich Purple Silk Shirt looks much better than my old, cheap, Lavender Mageweave Shirt. 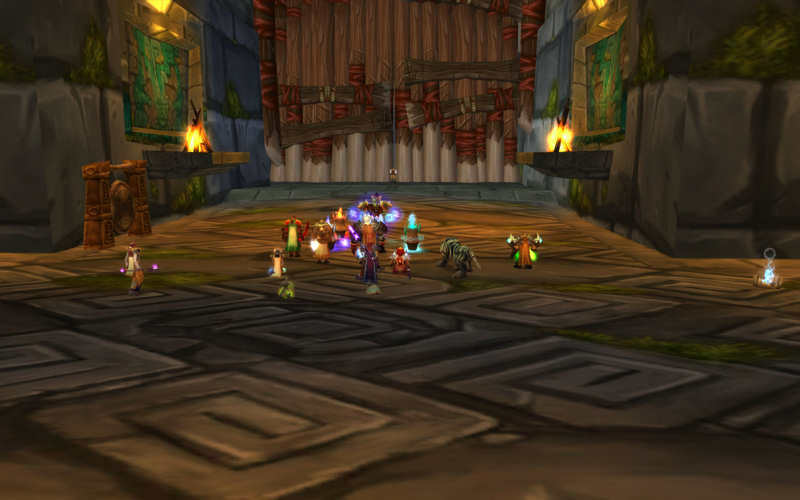 For our Karazhan run last night, we had hoped to clear the place in about four hours, besting our previous time and also finishing within the time of our usual raid schedule. However, it was not meant to be. 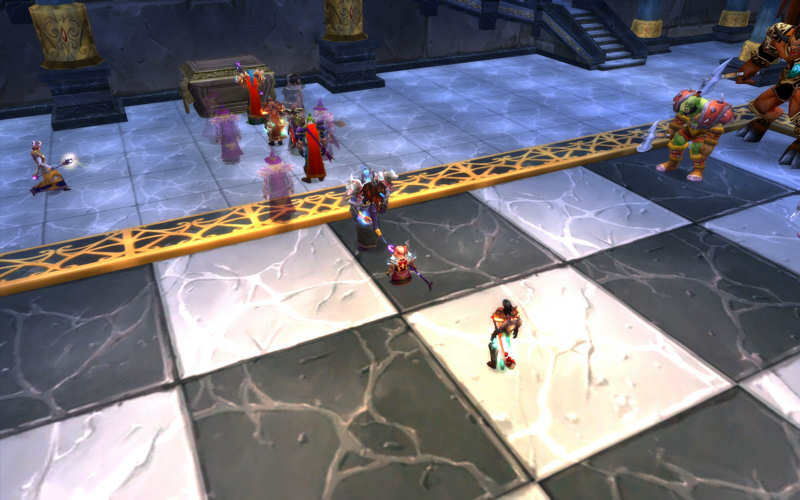 After quickly clearing through Attumen, Moroes and the Maiden, we ran into Romulo and Julianne at the Opera. After quickly downing each of them separately, we started in on them at the same time. After gaining a bit of aggro, I used invisibility, dumped all my aggro, and went all out on Romulo. But apparently he missed me go invisible and came after me. 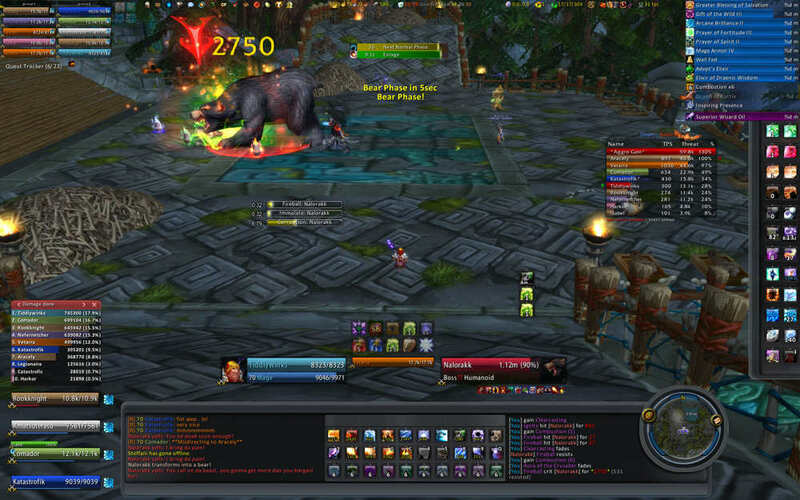 Since he is un-tauntable, Vetarra, our druid tank couldn't pick him up again quickly and he demolished me. An ice block would have been a lifesaver, and my mage trainer has told me that I will be able to learn it soon. Back to the Maiden of Virtue for a second - last night, for the first time, she decided to drop my boots! The Boots of Fortelling are now mine. After we downed the Curator, we took our normal break, so I ported back to Shattrath (more on that later) and then used the free port to Ironforge. In Ironforge, I grossly overspent on a Runed Living Ruby and a Great Dawnstone. I also then paid way too much for a Large Prismatic Shard as I needed just one more to enchant the boots with Boar's Speed. So my new boots now offer an additional 3 stamina, 5 intellect, 2 critical strike, and 6 damage. A very nice upgrade all around - at the cost of no stats. So when I said "more on that later" regarding the Curator, here's the "more." He finally dropped the Gloves of the Fallen Hero. This is another first time drop in Karazhan and I can't even count how many times we've been there and downed both the Maiden and the Curator. There were no hunters in our party at the time and Nefernetcher had already picked up the gloves on a PUG previous to our group formation (we were lucky enough to find Nefernetcher hanging out in the Looking For Group channel one night we were short a raider and he is now a member of Darklight Resolution and a permanent member of the Gold Team - a valued asset and all around great guy). So that left the gloves to me. Now, I'm in no position yet to break my Spellfire set bonus, but the complete Tier Four set would be amazing to have, and I now have the Gloves of the Aldor - the reason I originally ported to Shattrath instead of straight to Ironforge. 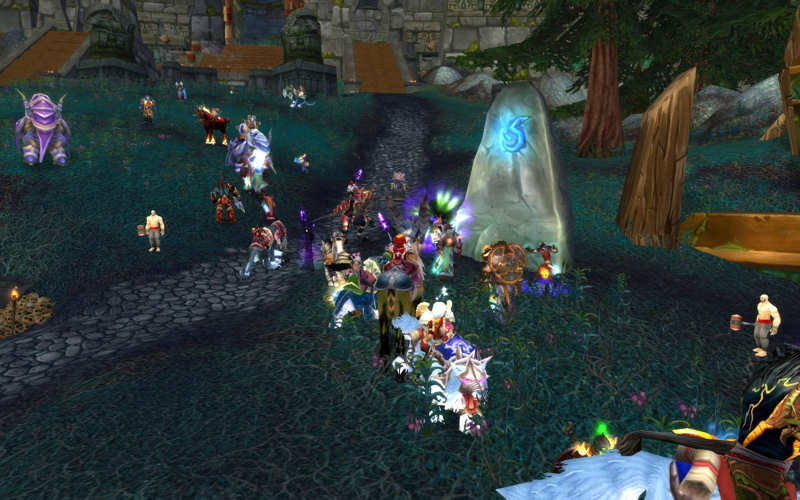 After the Curator, we plowed through Aran, Illhoof, and Netherspite and ended up back on the dreaded Prince. We failed in our first two attempts due to absolutely horrific elemental drops, but prevailed in our third attempt. With the Helm of the Fallen Hero being the only item left in Karazhan I really would like (well, I guess the Mindblade too), the Prince decided to drop neither. So I will return, continue to rack up badges with nothing to buy, and pray that the Prince will eventually drop my helm. Off to work out some calculations on how the Gloves could fit into my set. PvP gear perhaps? Last night, the combined forces of Darklight Resolution and The Protectorate ventured back into Gruul's Lair. With a new strategy, we were ready to take down Gruul after we downed Maulgar on two attempts (somehow, as I was tanking Krosh, he hit me with a blast wave - didn't think I was close enough...). So we went into Gruul's Lair and began our attempts. We got quite far in our first attempt of the night with our new strategy - just under 50%. Our second attempt didn't go well at all, but on our third and final attempt (we had a few people who had to leave early), we had a very good attempt - our best ever. We got him down to 27%, and even though I died early - I had a cave-in on my hiding spot and got flung next to a couple people who had more hit points than I - I still somehow managed to top the damage meters after the fight was over. I just wish I could have stayed up longer - or at least had another chance at Gruul. We'll get him soon. Karazhan tonight I believe. See if we can beat our full clear in 4.5 hours. 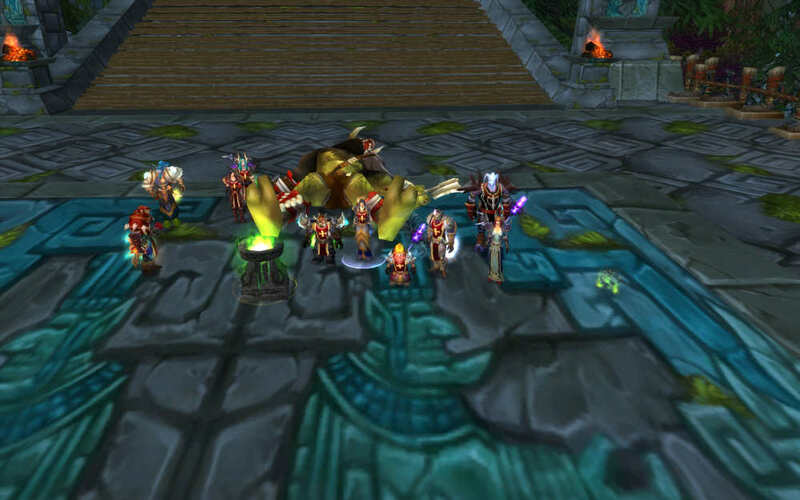 Tonight, the Gold Team went back to the dreadful Zul'Aman and triumphed over Akil'Zon, the Eagle Aspect. He took a few tries, but eventually succumbed to our superior fire power and strategy. Instead of trying to collapse on one person in the outer ring, we all collapsed on the tank in the middle. We also just ignored the eagles and we were able to defeat the evil eagle. After that, we moved on towards Halazzi. 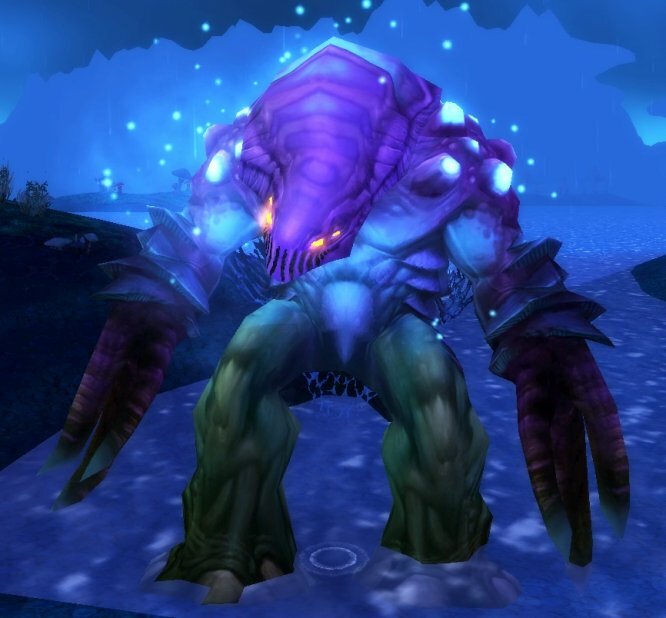 There were quite a few mobs to clear along the way, including one that had a nasty buff on it which increased movement speed by 200% and reduced casting time by 300%. He used it to cast a fireball volley aimed at almost everyone in the group almost instantly. I was able to spellsteal his buff and it was amazing! I was casting almost instant fireballs. However, he also liked to break sheeps quite often, so even if I had the haste buff, I couldn't do too much with it as I was resheeping most of the time. We had a couple of tries on Halazzi before it got too late to continue and it was good to see what we need to do to kill him. He's a tough fight, dealing a lot of damage, placing totems down that need to be instantly killed, and spreading around chain lightning. This guy may take us longer to master than Akil'Zon, but I feel once we get the encounter down, future kills should not be hard to repeat. Before we left Zul'Aman for the night, we attempted to complete a quest which had us visit Akil'Zon's platform, Halazzi's room, and Jan'Alai's platform. We had completed the first two objectives, but have not gotten to Jan'Alai yet. So, we decided to see if we could zerg Jan'Alai. We all mounted up, I equipped my Riding Crop and we were off. I think I made it the furthest of all because I had a couple of people in front of me who were carrying some mobs behind them, but in the end, none of us were able to make it up to his platform. Oh well, another day, another time. Akil'Zon dropped the Signet of Ancient Magics which I won. I was conflicted as to whether or not I should take it, but since no one else really needed it, Legionaire and I rolled and I beat him out. After collecting the required amount of troll tusks for the Tuskin' Raiders quest, I turned them in, located Zungam on our way to Halazzi, and was rewarded with a Charmed Amani Jewel which I threw in the Signet. I threw a 12 spell damage enchant on the ring and I'm still conflicted. The Signet gives me a nice stamina upgrade, a couple extra damage and intellect, but I lose a good amount of crit rating. I might just use the ring for PvP, or it could replace the ring I'm currently wearing. Oh yeah, the signet also has mana regeneration on it, so I might use it for that reason as well. Some of these fights are quite long and I can use all the mana I can get. I guess we'll just have to test the rings on our next trip to Karazhan or Zul'Aman and see which works better. Last night, while working on obtaining the Crescent Key, I also was able to get a new recipe for Runn Tum Tuber Surprise. I unfortunately couldn't find any tubers in Dire Maul last night, but will look for them again tonight. Either way, with my cooking skill at the highest point, rather than focusing on creating better foods, I'm looking to create rare foods. I'm sure those who enjoy Stormchops (thanks Harkor for cooking some up for me...I have yet to find this recipe in a crate of meat), would also enjoy the Tuber Surprise. Last night, after my dailies, I enlisted the help of Harkor and Llyr to obtain my Crescent Key. 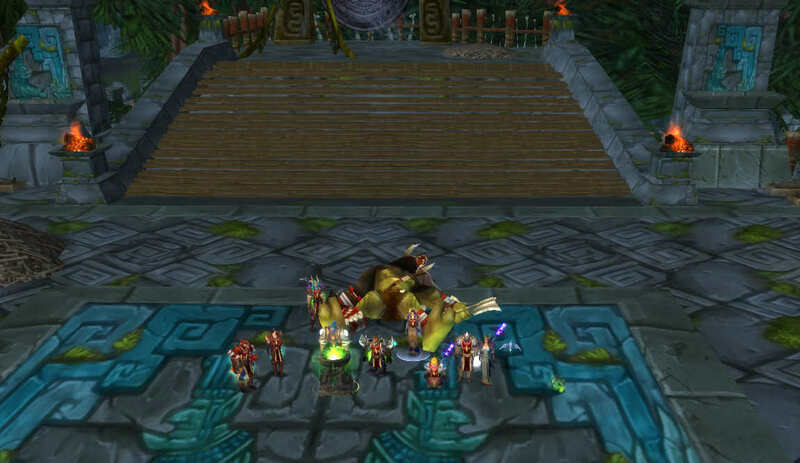 We quickly cleared through Dire Maul as necessary and Pusillin was no match for us. 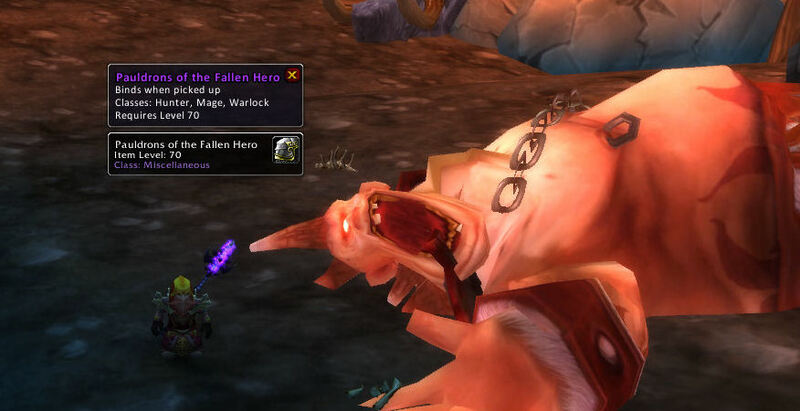 With my new key in hand, I entered Dire Maul north and starting killing ogres until the Gordok Shackle Key dropped. I then happened upon a kind goblin named Knot Thimblejack who was being held by the ogres. Before I released him, he offered to teach me how to make a Gordok Ogre Suit. I thanked him for the information and released him from his chains. Apparently, even while chained to the floor in this remote part of Azeroth, he had still managed to collect some precious items, which he gave me in exchange for his release. One of the items within his cache was the Ogre Tannin required to make my own ogre suit! I quickly gathered up the necessary items from my pack, sat down, and used my skills to create a disguise that makes me look exactly like one of the Gordok ogres. However, after donning the ogre suit, I became greedy and wanted to get some more ogre tannin for another suit. I figured, dressed as a Gordok ogre, the other Gordoks wouldn't attack me. Boy was I wrong. They not only attacked me, they beat me to a pulp after catching up with me following my frost nova and blink. After waiting a while, I decided to go back into Dire Maul to see what Knot was up to this time. And lo and behold, there he was, captured again! However, after killing countless ogres for well over an hour, I was unable to find the one ogre that was carrying the keys to Knot's shackles. I plan on venturing back inside Dire Maul later today, because, besides wanting to free Knot, I have heard rumors that Knot occasionally comes across a tailoring pattern he does not need. A tailoring pattern I would very much like to have. 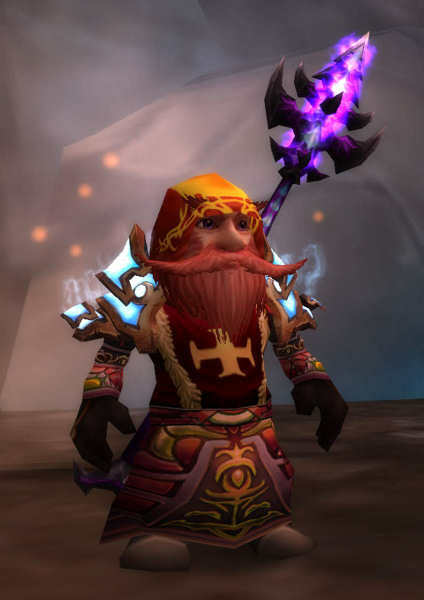 It may take me a while, but eventually I will get the patterns for Mooncloth Gloves, Cloak of Warding, Felcloth Gloves, Inferno Gloves, and last, but certainly not least, the Belt of the Archmage. All these patterns cannot be found anywhere else other than Knot's cache and they cannot be traded once found. The only way for me to learn these patterns is to find them in his cache. Unfortunately, I have realized that I might need to kill the guards rather than the regular Gordok Ogres as they have a much higher chance of carrying the key to release Knot. And I found out last night I cannot kill the guards by myself because they cannot be held in place by my frost nova, nor will they be disoriented by my Dragon's Breath. Perhaps I will have to find someone as bored as me to help out with some Knot Thimblejack runs. Yesterday during my usual auction house perusals, while looking for patterns and formulas to complete my tailoring and enchanting skills, I stumbled upon the recipe for a Shadow Hood. Unfortunately, I was not able to figure out how much the pattern was worth, but I figured it was worth a lot to me since I had not seen it at auction before, so I quickly bought it for 80g. The price might have been high, but I needed the pattern, and I'll usually pounce on anything cheaper than 100g. So 80g was almost a steal. And I know one more pattern now. 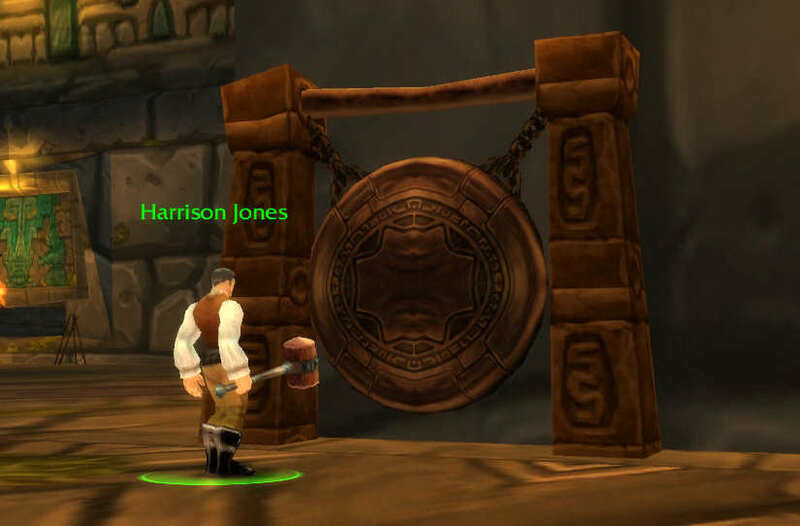 Monday night, after I was done questing and fighting in arenas, I made my way over to the hall in Stormwind so I could purchase my new Vindicator's Pendant of Conquest. So yesterday, when I was ready to continue questing and raiding, I quickly bought my pendant with my saved honor points and lamented the fact that I had not earned enough arena points to purchase my Vengeful Gladiator's Silk Trousers. After getting my gear in order, I headed out with the Gold Team to Karazhan. This time, Comador sat out the first few bosses to give Mercreus, a hunter who is also on the Mushrooms of Doom 2v2 team with myself and Nefernetcher, a chance to fill in. He did a great job all the way through Curator and received a new bow from Attumen. On our way through, the Crone finally dropped Legacy. Comador just barely beat out Mercreus on the roll by one point. Congrats to Comador, I know he's been looking for that item for a long time. Meanwhile, the Maiden refused to drop the Boots of Foretelling for me and the Shard of the Virtuous for the healers. The Curator dropped the Gloves of the Fallen Defender, giving Aracely, our raid leader, his first piece of Tier 4 from within Karazhan. After all these runs, he finally receives a piece. Going forward, we continued to one shot every boss until we hit the Prince. Due to a poorly placed elemental, an unfortunately death due to the shadow nova early in the fight, and my death right near the end due to axes hitting me, we took Malchezaar down to 3% before he killed us. We quickly regrouped and took him down. He once again dropped the Helm of the Fallen Champion. As Harkor was the only Paladin/Rogue/Shaman in the group, he received his third tier four helm. While I continue to wait. Of course Malchezaar also didn't feel like dropping the Nathrezim Mindblade. Oddly enough, while running the numbers last night, it's a toss-up between which off-hand item I would use with the mindblade. There's three possibilities: Jewel of Infinite Possibilities, Talisman of Nightbane, and Fetish of the Primal Gods. The three vary slightly. The Jewel has spell hit, the Talisman spell crit, and the Fetish has spell haste. I already own the Jewel, but passed on the Talisman the last time we saw it. I might take it the next time it drops. And I have more than enough badges to purchase the Fetish after last night's 22 badges for a full Karazhan clear. With the Mindblade and the Jewel, I lose two hit rating which puts me exactly on the hit cap which is perfect for raiding. I also gain 41 damage and 23 crit at a loss of 24 stamina and 15 intellect. Not a bad tradeoff at all. The Talisman gives me 46 extra damage and 40 extra crit, but I lose 23 hit which I will have to make up elsewhere through re-socketing, or a similar change. The Fetish grants me an extra 55 damage, 23 crit, and 17 haste (which enables faster spell casting) at the cost of 23 hit and only 19 stamina and 16 intellect. If I can figure out a good way to make up the 21 hit rating to reach my max, that is definitely the way to go, so perhaps I don't need the Talisman after all. The only thing is, I need the Prince to drop the Mindblade. And with the way Kara refuses to cooperate, that might never happen. Unfortunately, last night I was only able to get in games with Phill the Battle Chicken. We had some really great matches where we completely destroyed the other teams, and a few matches which were amazingly close, and only a couple where we were dominated. We kept our rating above 1500 and I should receive about 380 arena points today. Unfortunately, that's not nearly enough to buy the pants for tonight's Zul'Aman raid, so I am stuck with the Spellstrike set. If it comes down to it though, I could don my Trial-Fire Trousers and the Crown of the Sea Witch which grant me an extra 50 stamina, 40 intellect, and 20 spirit at the cost of 38 hit, 64 crit, and 23 damage. Pretty big tradeoffs. From a pure damage output point of view, it's not a good tradeoff. From a surviveability point of view, it could work. The question is, do I add 500 hit points in exchange for damage output? Will 500 hit points keep me alive that much longer? Or will my extra damage output bring him down that much quicker? I've done the calculations and I will not be able to buy my new pants tomorrow unless I can get a 3v3 arena team going. Hopefully I can persuade some of the people in my 5v5 group to join a 3v3 team and then I'm sure I can get Mercreus and maybe Nefernetcher from my 2v2 team. Or perhaps tonight Nefernetcher, Mercreus and I will start a new 3v3 team and I can get somewhere around 800 arena points for the week. I only need 774, so it might be close if our ratings get too low on the 2v2 and 3v3 teams. A few nights ago, we ventured back into Zul'Aman for the second time in as many days. We made quick work of Nalorakk, falling short of the 20 minute timer by just a couple minutes. 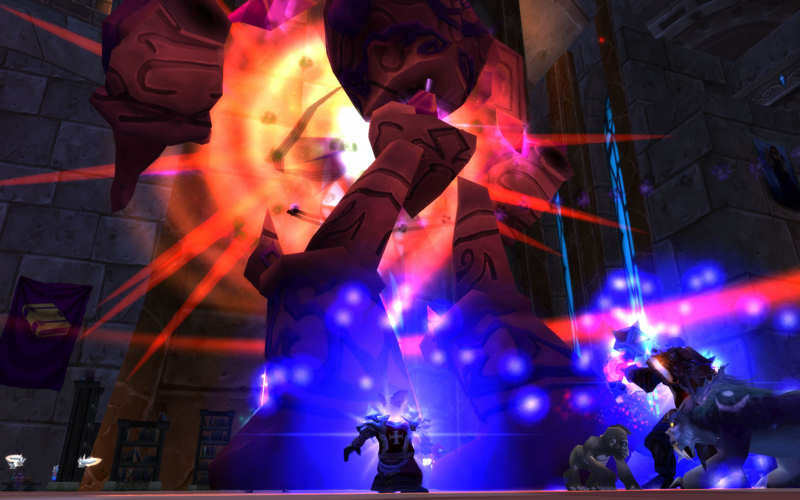 We then worked our way through the gauntlet twice getting in quite a few attempts at Akil'Zon. Unfortunately, we were unable to get him under 40%. The fight itself has a few confusing components, and I'm still trying to figure out how exactly we as a team can handle the fight. I've heard of a few different strategies, but we haven't had much luck with any of them. We've tried killing the eagles and also leaving them alone. We've tried huddling up in anticipation of the storm and we've tried spreading out. We've basically tried everything we've heard of or thought of, but nothing has come of it yet. 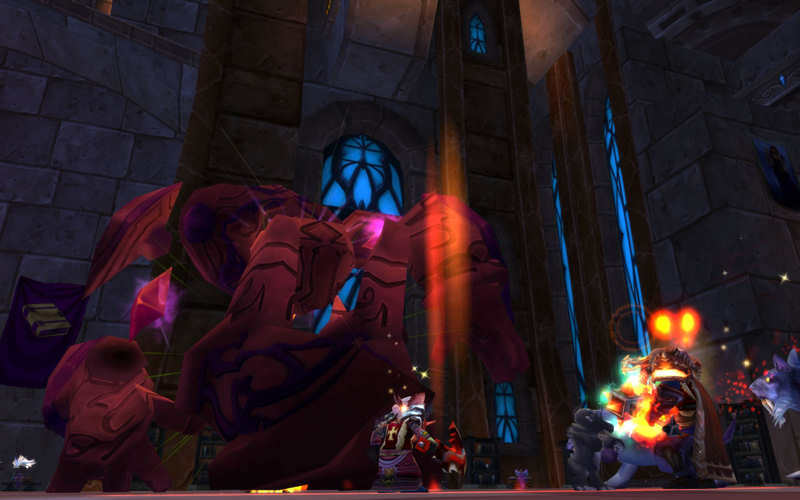 What's most upsetting is when a stupid mistake by any one player dooms the whole raid. We have so few shots at Akil'Zon before having to re-run the gauntlet, it is frustrating when one little mistake by anyone can cause a wipe. I'm hoping that with more practice we'll be able to get this guy on farm, but it just gets frustrating when things don't go as planned. After doing some further research this weekend, I'm going to try wearing some different items to give myself some extra stamina (I haven't run any arena games on either of my teams this week - something I really need to do to get those points - hopefully tonight some players of the 5v5 team will be available after Gruul's Lair). With some PvP gear on, I might be be able to survive some more eagle swoops without taxing the healers. I just ran some quick comparisons and if I can get the Trial-Fire Trousers along with the Collar of the Aldor, I will lose some hit and crit ratings, but gain stamina, intellect, spirit, and damage. I already have the Trousers, and would just have to hope the Curator finally decides to cooperate the next time through Karazhan. The next step up would be the Vengeful Gladiator's Silk Trousers with the Collar of the Aldor. Again, I lose some hit rating, but gain in every other category, including 43 stamina (versus a gain of 26 stamina with the other combination). The last combination I could work with is Vengeful Gladiator's Silk Trousers and Vengeful Gladiator's Silk Cowl. Here I gain a whopping 72 stamina and 37 intellect, but at a cost of 54 hit rating (same as the Silk Trousers and Collar) and 3 damage. I do gain 37 intellect though, which helps augment some of the losses. The other nice thing about any of the three combinations above is I am able to use the Chaotic Skyfire Diamond which does give me an extra 12 critical strike rating and, if I do crit, an extra 3% damage. And when I'm doing upwards of 4200 on crits, that's an extra 126 damage. With a critical strike chance of about 30% with raid buffs, that's an addition of 38 damage - period. So while the second and third combinations include a loss of 8 damage and 3 damage, respectively, the addition of the meta gem more than offsets those losses. I think my preferred combination would be the second option. If I could get the Silk Trousers and the Collar, I would gain a lot of stamina and intellect, lose a lot of hit, but gain a little crit and about 30 damage. The best part of all is I would have a 100% chance to avoid interruption of fireball - which would be absolutely amazing as those stupid eagles swoop down on me. Perhaps the Curator will hear my pleas for him to drop the helm and I'll be the only one needing it. Unfortunately, even if I do get in the games needed in 2v2 and 5v5 tonight, I don't think I'll make it to the 1875 arena points needed to purchase the pants. I will have them in two weeks though. My only hope would be to get a 3v3 going quickly tonight and get a few extra points from there. Either way, even if I do my best to research the fight, gear myself differently for extra stamina, and know when to move, I can only do so much. I'm not sure why we don't require the other raiders in the group to be similarly prepared. I know when the thunderstorm is going to come and can be ready for it. I know when I'm too close to other people so I don't get hit by chain lightning. I'm ready and have done my research. Hopefully we can take him down soon. As some of you might know, I'm a completionist. I am trying my best to amass every enchanting recipe, every tailoring recipe, every cooking recipe, and lastly, become exalted with every faction. My exalted factions tally can be found over on the left there, and to that end, I did some more work today on it. 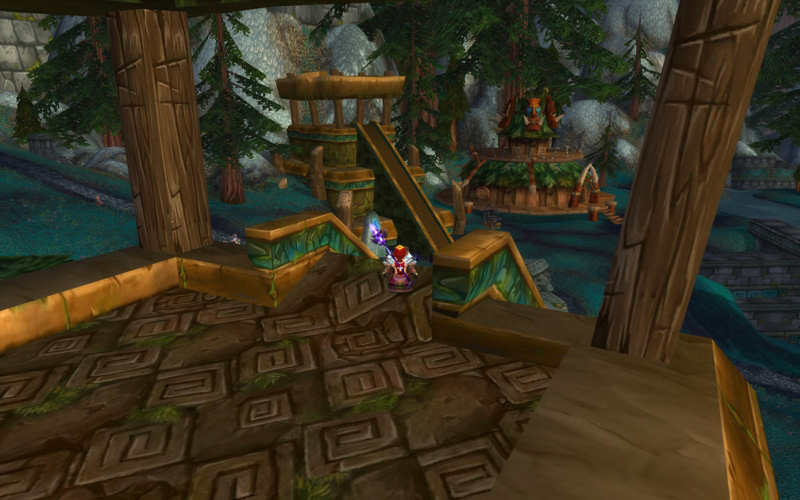 I took another quick journey out to Winterspring to see what was happening out there. I learned that the Wintersaber Trainer was awarding much more reputation per turn in of chillwind and sharptooth meat, so I did a few of those and then he started asking me to kill some Winterfall Shamans and Ursas. No problem I said! I need to kill a bunch of them to prove myself to the Timbermaw. When all was said and done, I gained about 2000 rep from the Timbermaw and 1500 from the Wintersaber Trainer. I am now quite close to becoming Honored amongst the Timbermaw which will give me a new Enchant and a new Tailoring pattern. 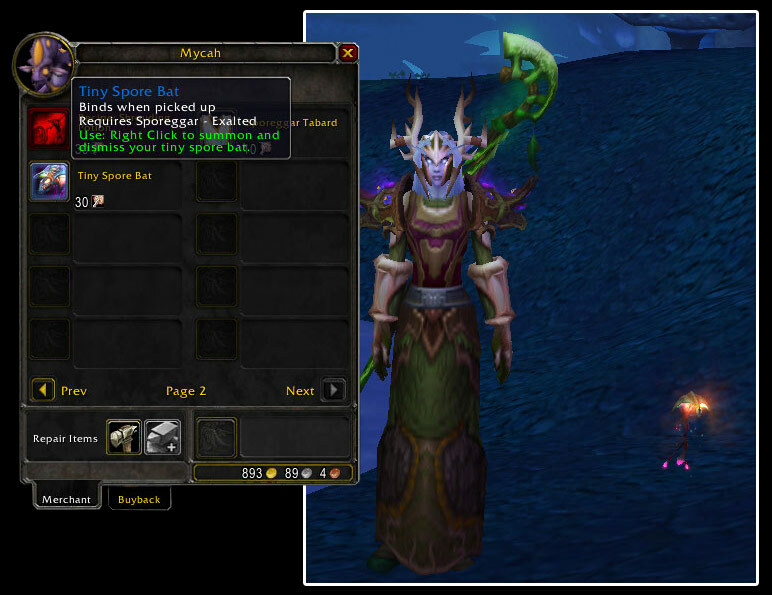 Speaking of them, the one lower level enchant I am looking for is Enchant Gloves: Herbalism. I have advanced herbalism, but would like this one to complete my enchants of skill 1-200 (I also need Enchant Shield: Lesser Block). While I have seen Lesser Block on the auction house, I haven't yet put down the cash needed to buy it. On the other hand, I have never seen the herbalism enchant on auction. Next on my list is Enchant Gloves: Riding Skill. This world drop has been made somewhat obsolete by the Riding Crop, but I do believe there is still demand for it, and as such, I have not yet seen it on auction. 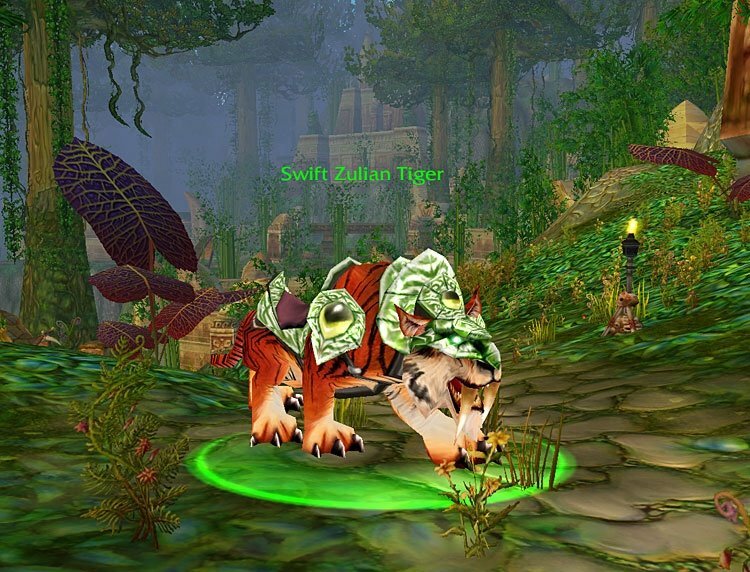 There are quite a few level 300 enchanting recipes I may never see due to the fact that old world instances are not run, but if anyone would ever want to go to Ahn'Qiraj or Zul'Gurub, I would love to go! As for tailoring recipes, I have not yet seen the Shadow Hood recipe on the auction and even though I have seen the Rich Purple Silk Shirt up there, it's an expensive and highly sought after item, so I have yet to purchase it. 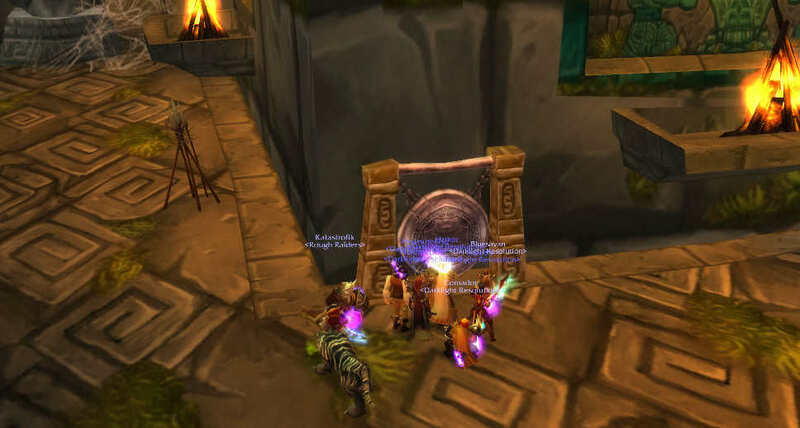 I am also looking for the Star Belt recipe and I am looking forward for the Lunar Festival to return. The last time the Lunar Festival occurred, I was just barely too young to purchase the Festive Red Dress and Festive Red Pant Suit patterns. The final pattern I am searching for is the Cloak of Fire. It drops from Overmaster Pyron (I should see if I can solo him). Other than those, there are the standard patterns that are level 300 and drop in the instances. In future musings, I'll probably talk about those patterns past 300 I am searching for. Tonight, after quickly cleaning up Attumen, we set off for the Ghostlands. Upon arriving there, I was greeted by a flight master who offered me an easier way to get there in the future (other than the summoning stone of course) and I saw before me a great structure. 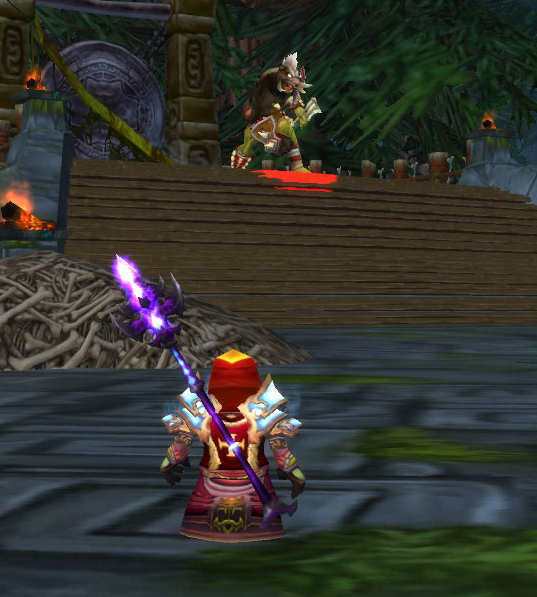 The temple in front of me was the great Zul'Aman! Before entering in with my group of faithful compatriots, I took a step back to admire this troll village. After surveying my surrioundings, I cautiously stepped up to the front door and stepped in. To my surprise, I was not greeted by trolls, but rather, an eccentric fellow who offered to help us break the seal and truly enter into the temple. None other than Harrison Jones (not to be confused with Indiana Ford I guess). He told us that the only way to break the seal on the door was to gather ten people together and bang the gong at once. Of course, we happily obliged and the doors were slowly opened. We were quickly greeted by some angry trolls which we dispatched with ease and we were then allowed to gaze down the steps of this magnificent temple which offers a fantastic view (even though the weather was a bit nasty). While the temple does look magnificent, you sometimes have to wonder how sturdy it really is (I have my doubts). After fighting through a few more trolls, we were rudely greeted by the bear lord Nalorakk. Apparently he didn't take too kindly to our presence there and he immediately sent his troll minions at us. 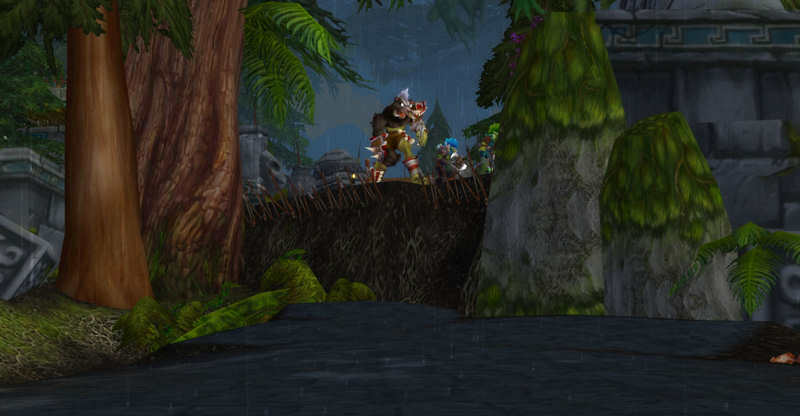 We had no problems getting rid of them until we came upon his Amani'shi Warbringers. 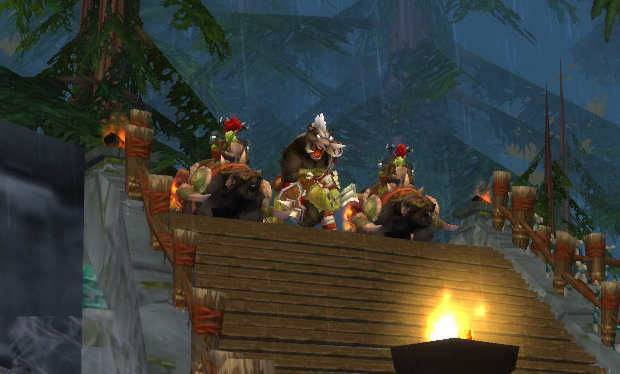 These two bear-mounted trolls gave us some problems, but we were able to figure them out and defeat them. We were then standing face to face with Nalorakk. Unfortunately, my Super Snapper FX stopped working and I don't have any shots of the actual battle. The bear lord himself obviously transforms throughout the fight and does some big damage to both of our tanks. We were unable to defeat him in the three tries we were given, but did learn quite a bit about how to fight him and I am confident he will die the next time we face him. Taking him out within 20 minutes will prove to be a challenge, as we will do everything we can to save the prisoners he is holding, but again, it'll be quite difficult, but I think that once we can defeat him, 20 minutes is obtainable. I look forward to our venture back into the temple. Hopefully we can get another shot at Nalorakk this within a day or two. Vengeance will be mine! Tonight is the night! 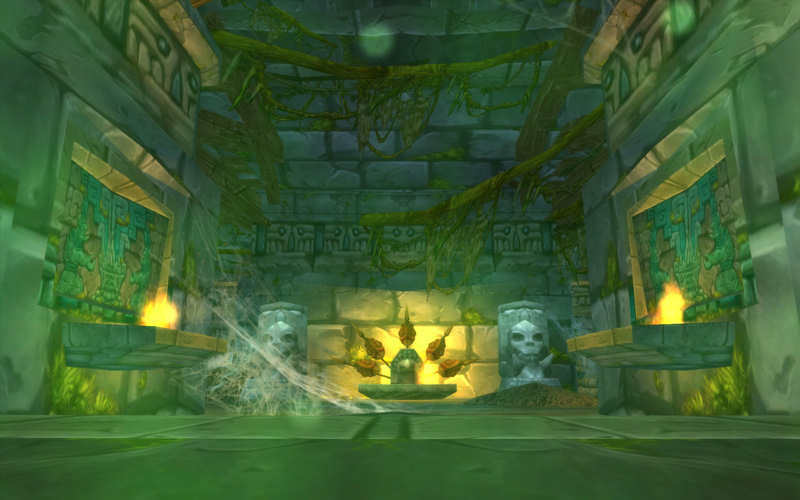 The Gold team ventures into Zul'Aman and we get to explore the temple and see what's going on in there. I have used all of my sources to try and learn everything I can about Zul'Aman. I have heard stories of the monsters that lie within, but without seeing them, I fear I am not adequately prepared. I am quite excited and look forward to peeking inside. 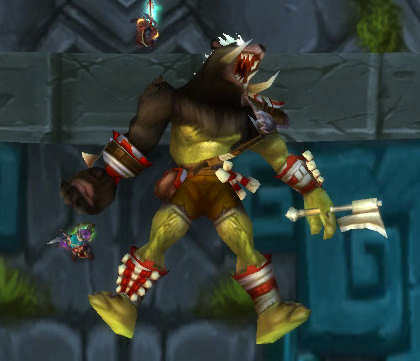 Also, there seems to be a new goblin that popped up inside Shattrath (or I just never paid him any attention before) and he has asked me to make some Roasted Clefthoof the past couple of days. It's easy enough, and for my troubles he gave me a few gold and even rewarded me with a recipe to make a Delicious Chocolate Cake. Kudos to him! 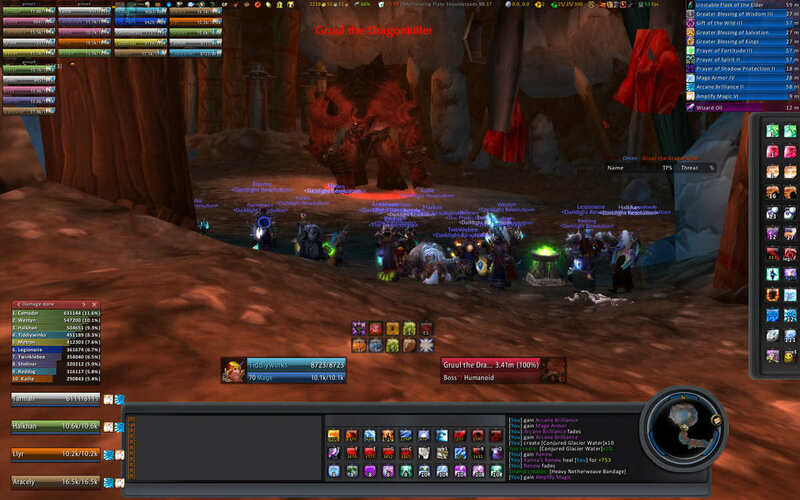 I was also tasked to win a Warsong Gulch battle, but unfortunately failed in my attempts on Wednesday night. I was unfortunately teamed up with people who decide that it's more fun to farm honor kills in the middle of the battleground rather than working together to capture the flag and prevent our flag from being captured. It's quite frustrating at times. Hopefully this weekend I can complete the quest I was tasked with. Well, after some intensive note taking and ideating, I have come up with my wishlist for items from Zul'Aman, G'eras, and the battlegrounds. My weapons both hopefully will be upgraded. The Amani Divining Staff and Carved Witch Doctor's Stick will net me an increase of 8 stamina, 2 intellect, 31 critical strike, and 61 damage at the cost of just 26 hit rating. The next things I am considering replacing is the Spellstrike Set. 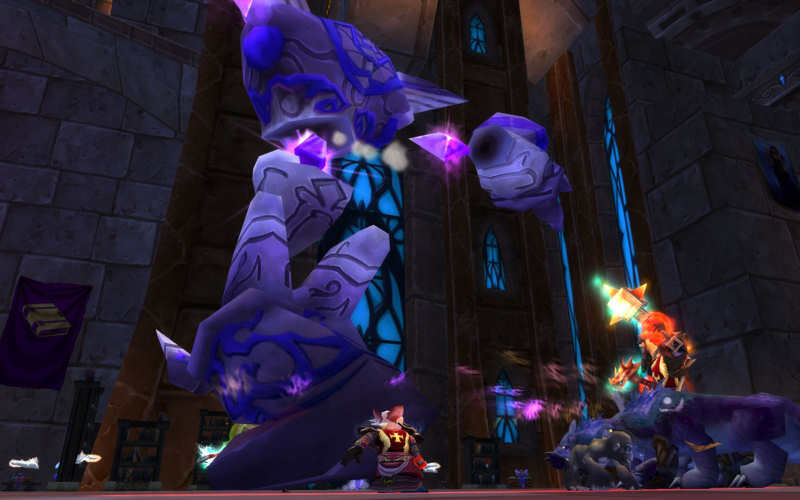 The Hood of Hexxing is the main piece of the set with considerable stats and nice sockets. With that, the Pantaloons of Arcane Annihilation are available for 75 badges. The stats change with increases of stamina by 18, intellect by 48, haste by 45, and damage by 15. These upgrades come at a cost of hit rating decrease of 15, crit rating decrease of 30. I'd have to run the numbers to figure out if the intellect increase balances out the crit rating decrease, but the hit rating loss of 15 is miniscule in the grand scheme of things and can be made up elsewhere (different socketing or something similar). This upgrade would only come if the Hood drops. With battleground honor, I would like to upgrade both of my Veteran's pieces to the Vindicator equivalents. The Pendant is a significant upgrade with an extra 4 stamina, 3 intellect, 3 crit, and 4 damage. The silk cuffs are about the same upgrade with an extra 4 stamina, 4 intellect, 3 crit and 5 damage (or an extra three stat points). However, as mentioned previously, the enchant on the silk cuffs was quite expensive and I might not replace it. However, if I do switch from Spellstrike to something else, I will lose hit and the +15 hit to bracers is cheap. I would lose the +15 damage enchant, but could easily get back to max hit that way. And last, but not least are the Footpads of Madness. They are a significant upgrade with an additional 4 intellect, 19 damage, and 25 haste. At the cost of just 14 stamina and 3 hit rating. A huge gain at a minor cost. The other option are the Boots of Blasting - a recipe that drops in Black Temple. I have yet to see this recipe on the auction house, but figure it would go for about 2000g, a hefty price to pay for one pair of boots that will be obsolete in short time. I'd much rather put that 2000g towards my epic flying mount. Speaking of the mount, I have taken considerable steps backwards in my purchase of this nice amenity. I lent out some gold which is not a big deal, but I have spent quite a bit of money on some items including my new runed enchanting rod. Also, I haven't been doing my dailies as much as I should, though the new daily quests should be nice. It's been a while since I have written anything down, but there's been some big news. 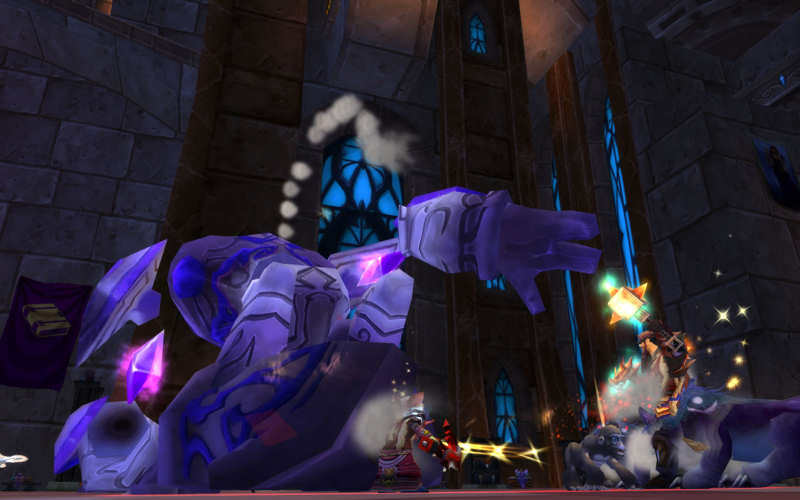 On Monday, we quickly downed Maulgar and he dropped the Brute Cloak of the Ogre Magi. It is quite a nice upgrade for me and even though I haven't had a chance to put the subtlety enchant on it, I have noticed an increase in damage done to enemies. The cloak, combined with the pauldrons I received the week prior have enabled me to put out upwards of 4400 damage on a fireball crit with raid buffs. 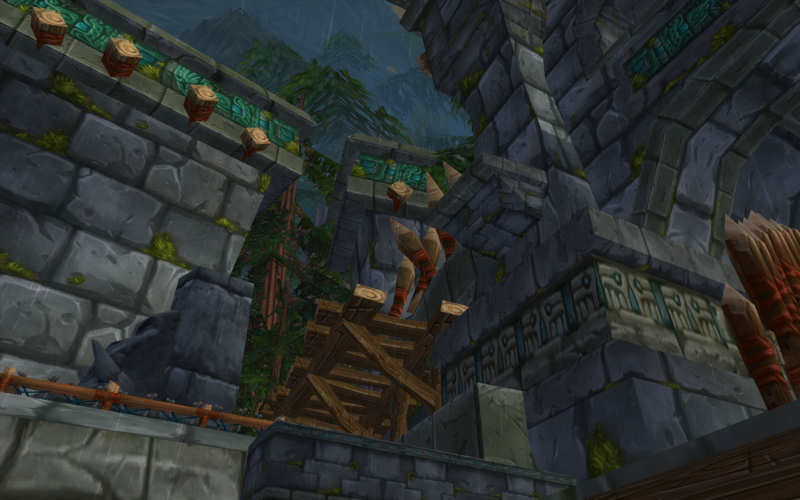 Yesterday, there were many changes afoot in the world of Azeroth. Word is G'eras has new rewards in exchange for Badges of Justice and we heard they were dropping in record numbers inside Karazhan. We ventured back to Karazhan last night and had our best night ever downing Moroes, Maiden, Opera, Illhoof, Aran, Netherspite, Cuator, Aran (all in one shot except for Prince - bad elemental drops). We then tried tried to down Nightbane, but it was getting late and we were unable to do it in two attempts. Like I said though, I've been getting pretty good damage with the gear I currently have and put out upwards of 4.75 million damage over the course of the raid. However, with the start of Arena Season 3 next week, and the new badge rewards, I have some upgrades planned. Also, there is talk of a new threat from the trolls out in the Ghostlands. I do believe that heading out that way to seek new adventures will reward us nicely as a team. 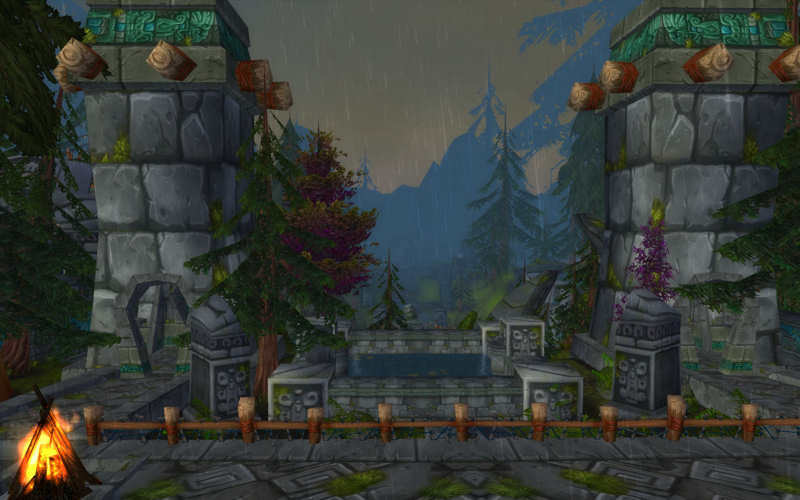 Word from early excursions to the temple of Zul'Aman report a beautiful new Staff in exchange for freeing prisoners within a short time frame along with a new Hood of Hexxing which would be a nice upgrade. G'eras is also selling some new pants to go with that hood which would be able to decrease my casting time by almost 3%. He also is offering a new wand which I should be able to pick up soon, as we earned almost 20 badges last night alone (the Carved Witch Doctor's Stick is being offered for the low, low price of just 25 badges). Other than that, I shall need to find my way back into the battlegrounds to upgrade my pendant and bracers. The new Vindicator's Pendant of Conquest and Vindicator's Silk Cuffs are very nice upgrades. However, my current cuffs have an expensive enchant on them which I am hesitant to replace. I would need to spend almost 500g to re-enchant the cuffs and I would only gain 4 stamina, 4 intellect, 3 crit and 5 damage. 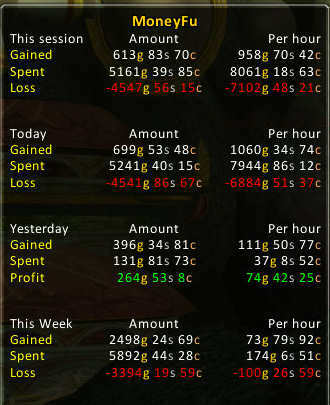 Nice increases, but I wonder if it is worth the cost of enchanting and the cost of honor. To be certain, the pendant upgrade is the first I will seek out. It is nice now that they will be awarding extra honor each day for completing battleground tasks which I look forward to trying out tonight. I also hear that some in the Lower City are offering rewards for certain foods which I most certainly could cook up for them with my maximum cooking skills. With all of those upgrades talked about above, a few things I know for certain - my Spellfire set (gloves, robe, belt) will not be changing. Nor will my new pauldrons. My cloak should stay the same well into Zul'Aman and my trinkets and rings should remain. The one thing I am still actively searching for is a nice pair of boots. The Maiden refused to drop them last night, and I still don't want to grind Eye of the Storm (plus, I need 10 Eye of the Storm marks for the new pendant). Sooner or later the Maiden should drop my boots - but if she doesn't, I heard of a nice pair of boots that Jan'Alai might drop in Zul'Aman. I won't be holding my breath though. Oh yeah, a couple of things I forgot to mention. Last night I rocked Karazhan wearing my Sporeggar Tabard. That thing is quite possibly the ugliest piece of clothing in the world, but it's now my lucky Kara tabard. 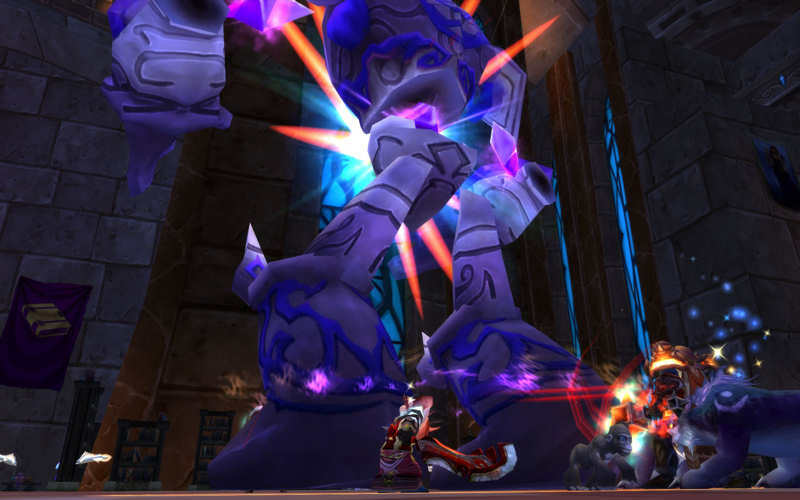 It all started to work for us when the pattern for a Soulcloth Vest dropped early (congrats to Nefernetcher), but continued when we downed Moroes and he finally dropped the formula for Enchant Weapon: Mongoose. However, this now forces me to finish work on my Runed Eternium Rod. I've collected the Eternium Rod, the Void Crystals, and most of the Planar Essences, but the Primal Mights are once again giving me problems. It's tough to spend 100g on each of them. I've bought one, and will buy the other three when I see a deal on them, but it's just tough to drop that kind of cash when I'm saving up for my epic flying skill (just about half way there). Last night was pretty amazing. The Gold team completely rocked Karazhan. We started in our usual manner going through Moroes and Opera (though the Opera was odd as we got Romulo and Juliane, but after a fluke death to a tank, we reset it and got the Big Bad Wolf who we one shot). We then continued quickly through the Curator (where Harkor received his second pair of tier four gloves), Shade of Aran, the Chess Event, and then Prince Malchezzar. Like the Curator, the Prince withheld tier four pieces from us mages, warlocks, and hunters. After the Prince, we were given a choice - back to quickly finish off Attumen and the Maiden of Virtue, or on to Netherspite. 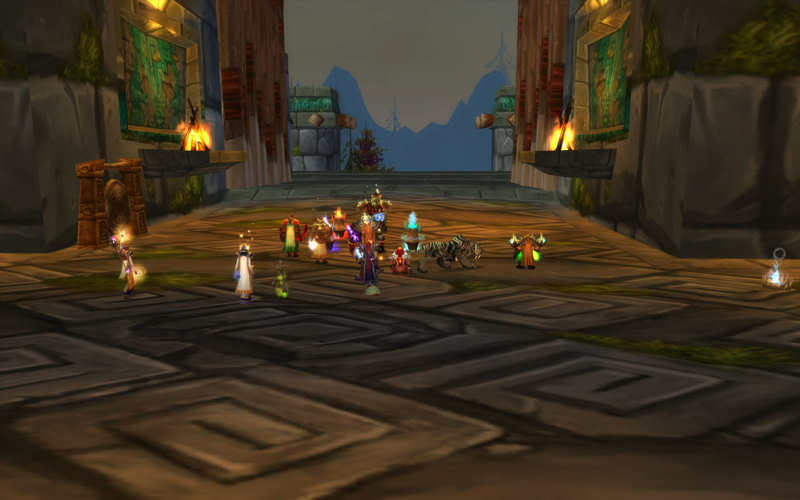 Netherspite just barely won out with a vote of 6-4 (I have a feeling it was the healers and me that voted for the Maiden - I'm looking for boots, they're looking for a healing mace). 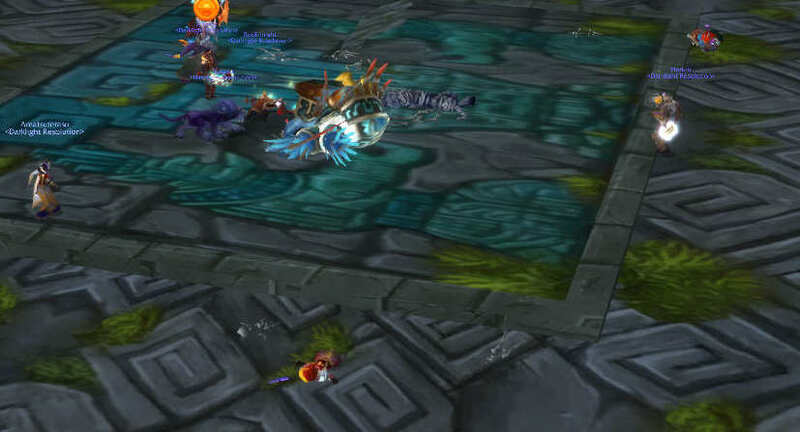 But after one failed attempt at Netherspite due to a new strategy we were employing, we got him the second time through. Oddly, Netherspite dropped two caster items. 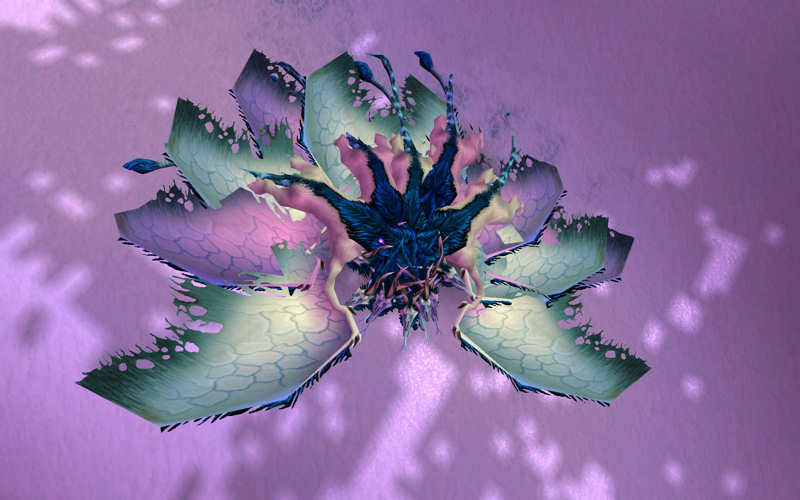 The Uni-Mind Headdress which Nefernetcher took for raiding instead of the PvP helm he was currently utilizing, and the Jewel of Infinite Possibilities. 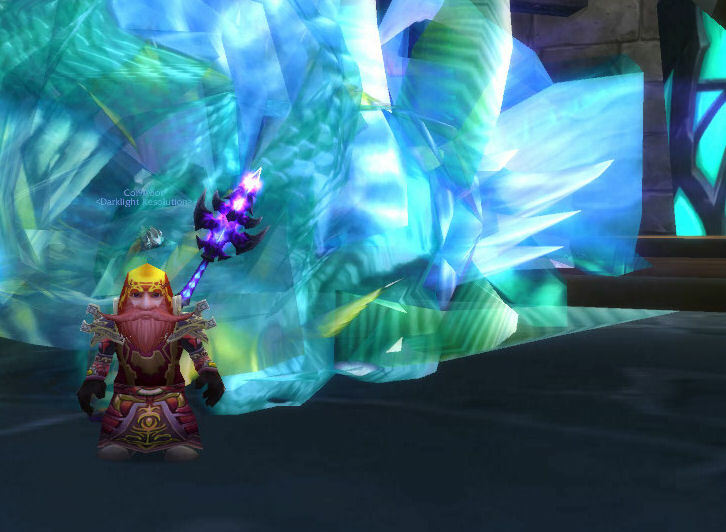 Though I hadn't thought about switching away from my Staff of Infinite Mysteries, I was persuaded to take the Jewel in case the Prince ever dropped the Nathrezim Mindblade again (Legionaire got the first one we saw - well deserved). Running the numbers of the Jewel + Mindblade vs. the Staff, it's a pretty close call, but I think dual-wielding would be the right move. I would lose 24 stamina, 15 intellect, and 2 hit rating, but gain 23 crit, and 41 damage. Since I'm already at or near the hit cap, the loss of 2 hit rating wouldn't bother me much, but the gain of 23 crit and 41 damage would be a very nice upgrade. However, it always hurts to lose stamina as I am already fragile enough. One thing I would like to do in anticipation of a tier four helm ever dropping off Prince Malchezzar is to complete my Nightbane questline. 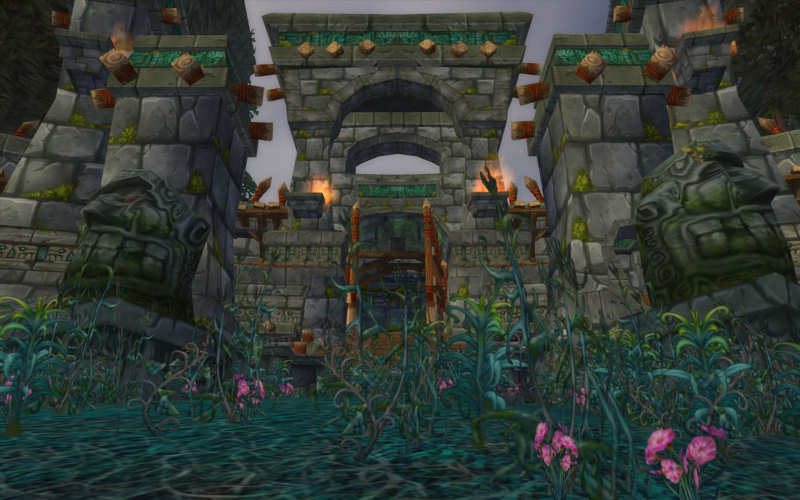 I need to venture into Sethekk Halls and Shattered Halls in heroic mode and kill the first boss there, then use the Blackened Urn to summon Nightbane. If I'm lucky, I can get these two runs in before Friday when we will kill Nightbane again. Then, I'll be able to get an Infused Amethyst which will give me +6 damage and +6 stamina - and which will fit perfectly in the blue socket on the Collar of the Aldor. Once again, last night, I was reminded of my folly as we passed by what is now termed "Tiddly's Door" on the way up to Prince Malchezzar. A few weeks ago as we were ascending to kill the Prince, I decided to turn the wrong way and peek inside a door we had not yet opened. Unfortunately, there were a few guys inside that didn't take kindly to me peeking in and they instantly killed me. Luckily, Aracely and Vetarra were ready to seek revenge and promptly killed them with the help of the raid and I was avenged, but now every time we go up, I'm once again reminded of my curiosity. Perhaps later this week I'll be allowed to explore the kitchen of Karazhan. We have not yet ventured in there and should have some free time after we quickly clear the place. Well, I finally found my pictures, and here I am in my new Pauldrons of the Aldor. 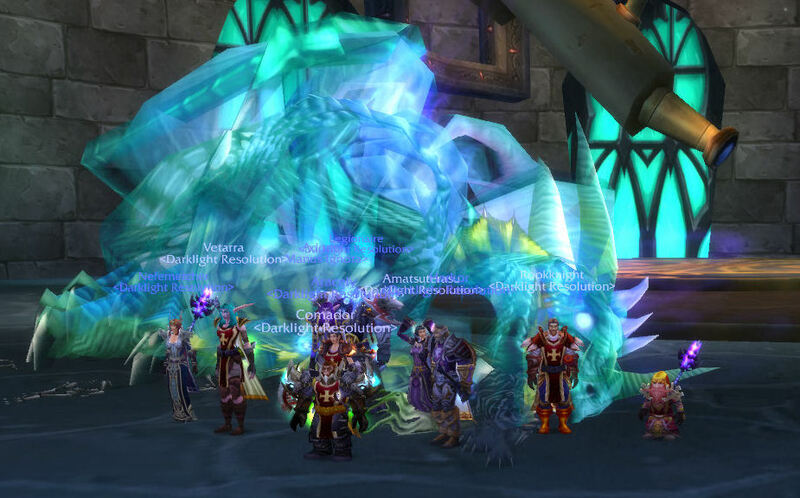 I also added a new picture to the masthead, a shot of us all before taking on Gruul the Dragonkiller. So, as any reader of this journal would know, I've been working on saving arena points to buy a nice pair of shoulders since I have been unable to find anything to replace my current set. The only options out there were the arena shoulders and the tier four shoulders. Last night, we ran our regular Gruul's Lair run and with skill and tenacity, downed the High King Maulgar in just one shot. And lo and behold, he dropped the "Fallen Hero" shoulders! Rejoice! I have a chance to win the shoulders I had coveted for months. And with a roll of 68 on the lucky dice, they were mine, just barely beating out a roll of 62 and a few others under 50. Yes, the Pauldrons of the Aldor are finally mine! I rushed to Shattrath, quickly bought a Greater Inscription of the Orb (+15 spell crit, +12 spell damage), threw a Fluorescent Tanzanite in the red socket (+6 spell damage, +4 spirit) and a Potent Noble Topaz (+5 spell damage, +4 spell crit) in the yellow socket and I was ready to go back to the lair to face off against Gruul himself. Unfortunately, we're still having problems with shatters and DPS. I actually died once this time from a shatter (my first shatter death in all of our attempts) as I was next to two people, one who shattered for 2400 which I could absorb, but the other who shattered for 6700, which combined with the 2400 I could not absorb. However, we did get him down to 47% or so, which is our best effort yet, however, we didn't improve by that much over previous attempts. But it does take practice and a little bit of luck, so hopefully we will be able to get him down soon. 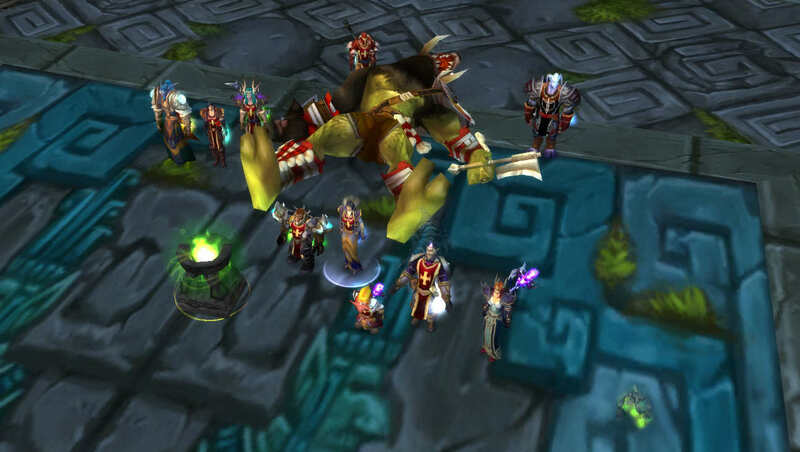 I did take some pictures of myself with the shoulders on and I also took a picture of the whole group just as we were about to face off against Gruul, but they have gone missing. Hopefully I will be able to figure out which Imbued Netherweave Bag I put them into and show them off later tonight. Another lazy weekend. With not much to do, I decided to venture back to Winterspring and gather Winterfall Spirit Beads. 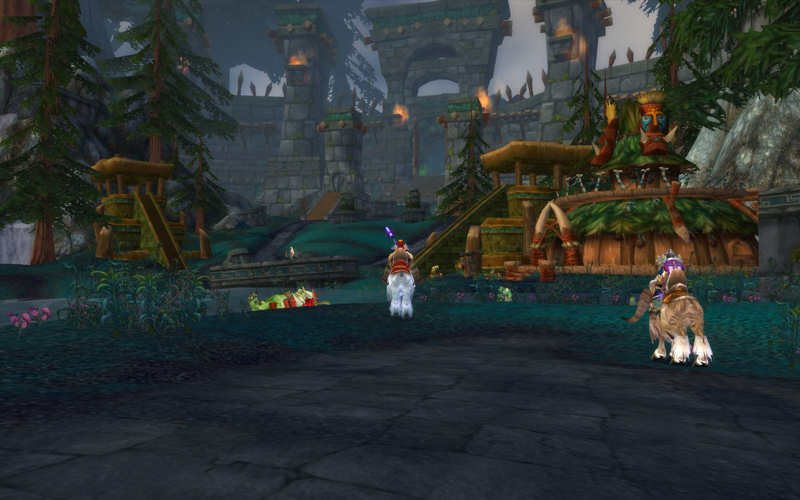 After making a couple quick loops of Winterfall Village, I set out to gather some Chillwind and Sharptooth meat in anticipation of further reputation gains from the Wintersaber trainers. With the meat stored away, I went back to Winterfall, gathered some more spirit beads and turned them in. It made a small dent in my reputation with the Timbermaw and I have quite a ways to go before they fully trust me. The following day, I decided to see what the Argent Dawn were up to and went and shut down some cauldrons and turned in some scourgestones. Same as the Timbermaw, I have a ways to go before becoming exalted. Late yesterday though, I got the chance to accompany Jaides on her epic warlock mount quest in Dire Maul. The fight was something I had not yet seen and it was fun to help her obtain the mount after a fair bit of fighting (not quite sure how that fight could be accomplished 10 seasons earlier). And with that, I called it a night. The new week brings the same challenges with Maulgar and Gruul tonight and Karazhan on Tuesday and Friday. Maybe I'll see one of those fabled "Fallen Hero" drops this week.